Part of the Trojan Technologies group of businesses, VIQUA provides innovative UV technology for residential and commercial markets. 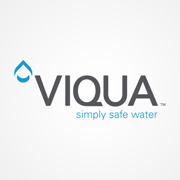 VIQUA offers market-leading warranties on all new VIQUA water disinfection systems. Replacement parts and lamps for all Sterilight and UVMAX systems will be supported for at least seven years. For full information about residential VIQUA, Sterilight and TrojanUVMax UV disinfection products, replacement lamps, parts and support, visit the VIQUA website. Trojan 650138 Lamp is the replacement UV lamp for use with the obsolete Aqua UV708, Advantage 8 Basic and Plus water disinfection system. UV Max C4 is replaced by VIQUA D4.